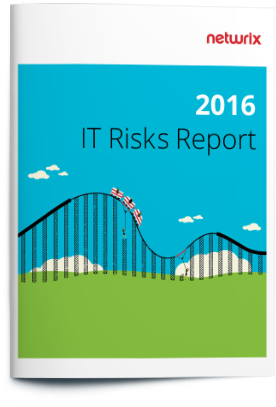 The 2016 IT Risks Report unveils how IT changes influence various cyber risks and how well organizations are prepared to beat them. We explore current IT auditing tendencies, whether organizations have relevant IT controls and visibility into IT environments to mitigate cyber risks. of organizations experienced security incidents that involved malicious activity. of surveyed companies had operational issues caused by malicious, incorrect, and unauthorized IT changes. 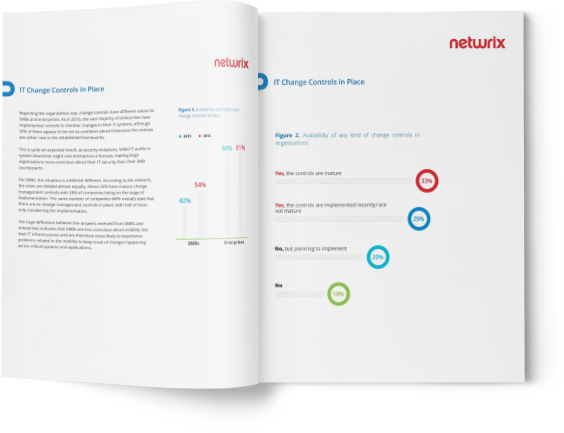 of respondents had compliance issues due to lack of visibility into IT changes.